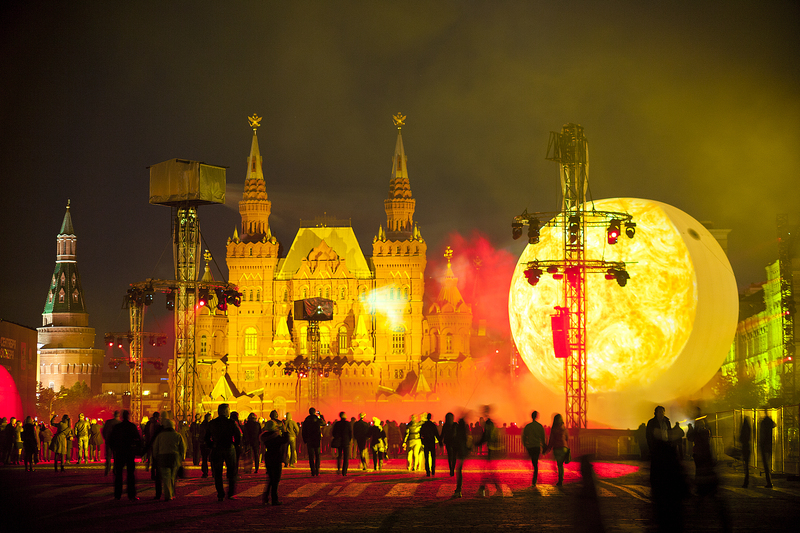 The Second Moscow International Festival, the «Circle of Light» starts today. The festival of light is a unique large-scale event within the limits of 2D and 3D fields wherein light-designers and professionals use architectural spaces of the city as facades for multimedia and light installations. The extensive program of this years festival, will begin to operate immediately on the four following platforms: the Red Square, the Gorky Park, the Central House of the Artist, and the Central Exhibition Hall «Manezh». All platforms will be easily accessible, working in looped runs from 19:00 till 23:00 daily. Those interested will be able to approach and experience the art in all its glory; that includes of course the Festival Opening Ceremony, taking place at the Red Square today.